My garage looks a little different now, due to the addition of another Red/Grey (thanks to John C). 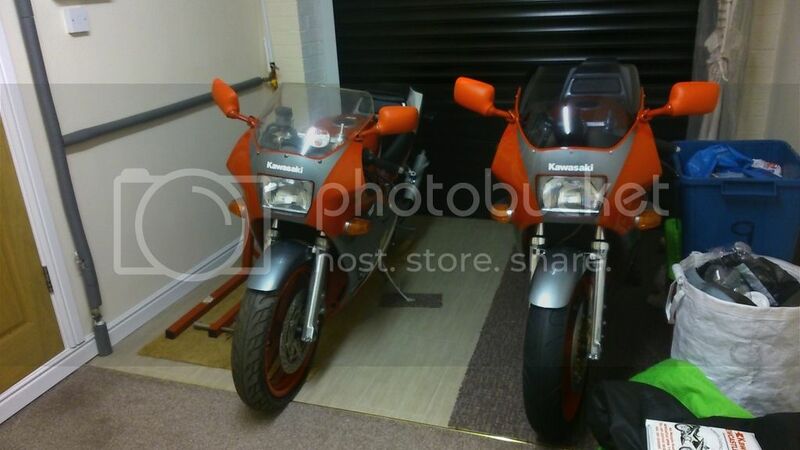 The bike is a real time warp bike, totally standard, no damage to the plastics and complete with all documentation supplied when the bike was purchased, it even has its service book with it (2 owners 16000 miles). This will not be getting the Lenny Henry treatment and will be left as a great example of an old bike. I will start a thread in projects once cleaning and re-commissioning commences. Last edited by 500bernie on Mon Mar 28, 2016 10:39 am, edited 1 time in total. Ah nice, didn't know you had invested in another. Nice work Bernie, glad it's gone to a good home and not going to get broken up! Cracking bike, doesn't look like too much work, will look forward to the rebuild thread.. It was not something I was planning, I spotted the post by John and remembered that he had posted back in 2011/2 and we had talked about me helping to get it started. bozbridge wrote: Nice work Bernie, glad it's gone to a good home and not going to get broken up! Cracking bike, doesn't look like too much work, will look forward to the rebuild thread..
Plus one for this , much better to see it going to someone who is passionate about the fastest ones. The new one is very dirty as it has been stood for a few years, but the plastics are in great shape with no cracks or repairs. Well done Bernie, good find.I've got a TZR 250 2ma coming my way soon! 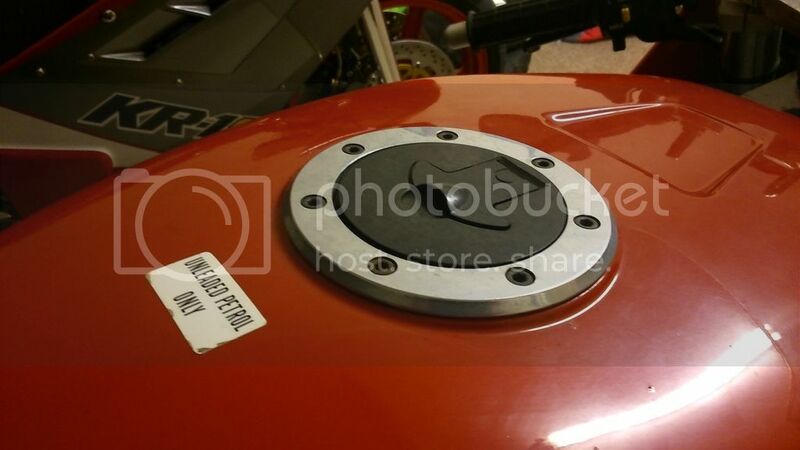 Don't forget to post some photos, is it a restoration project, or a tidy up and ride? You're welcome Bernie. I enjoyed the craic when we picked the bike up and I have to tell you if you hadn't fancied that deal I would've bought it. Having all of that provinance is rare too in my experience. 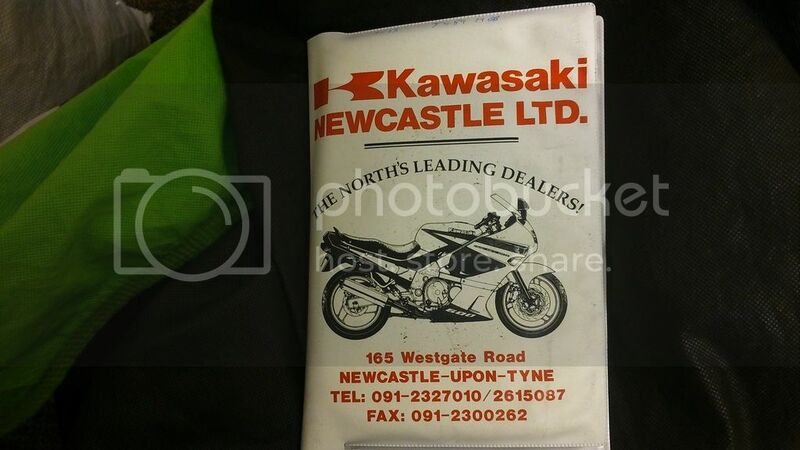 The Kawasaki Newcastle document wallet is mint. That's the old shop too on Westgate road. Nowt there now just the new road. It goes to St James Park so that's OK.
John is a canny fella too.